With such a wide array of clients, David Bernhardt’s conflicts at the Interior Department aren’t limited to just drilling and mining. He also provided legal services to the Safari Club International Foundation, the 501(c)(3) wing of Safari Club International, a hunting advocacy group. SCI has long fought restrictions on trophy hunting imports, even suing the Interior Departmentover the import ban of trophy-hunted African elephants and lions. As an American, animal lover and humanitarian it makes me sick to my stomach to feel helpless to the destruction of our animals and our environment! We have Congressional members who sites by, allow to happen and support it! We have a low life in the White House who is a crook and a traitor! Constantly destroying and so far removed from being patriotic it’s nauseating! The people in this country better wake up! WE all must keep up the fight and go to the polls! Has everyone called their Congressional members demanding they support the Safe Food, Safe Horse Export Act? And why don’t we hold more demonstrations and rallies? The new SAFE ACT has apparently morphed again (from HR-113) to HR-875, and why it has not been passed with so much bi-partisan support in Congress prior this new introduction, is a mystery. I hope that I got that info correctly, and everyone should call their rep.s as much possible on this! The passing of this article in the SAFE Act will prohibit the transportation of all American Equines across borders for slaughter for human consumption… one huge step in abolishing the shocking corruption in the ‘slaughter for profit’ crimes being perpetuated presently at sickening and astonishing levels against our Wild Mustangs and Burros, and all of our Equines. Deborah, it’s also worth people trying to pass legislation state by state, so no transport for slaughter could occur in states prohibiting this, which would shift the discussion, safe the lives of some horses, and help propel national legislation. I’ve been suggesting for years this be promoted in my state (to the sound of silence from elected officials) but live transport of unvaccinated horses also generally without Coggins tests (or often, forged papers) presents a disease threat even if horses are just passing through on the highway. A lot of diseases are carried by insects who don’t see state lines or find open trailers any hindrance to their activities. The bipartisan Horse Transportation Safety Act (H.R. 1400) has been reintroduced in the US House of Representatives. 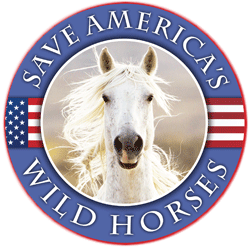 Led by Reps. Steve Cohen (D-TN), Peter King (R-NY), Dina Titus (D-NV), and Brian Fitzpatrick (R-PA), this legislation would prohibit the interstate transportation of horses in a motor vehicle containing two levels stacked on top of one another. 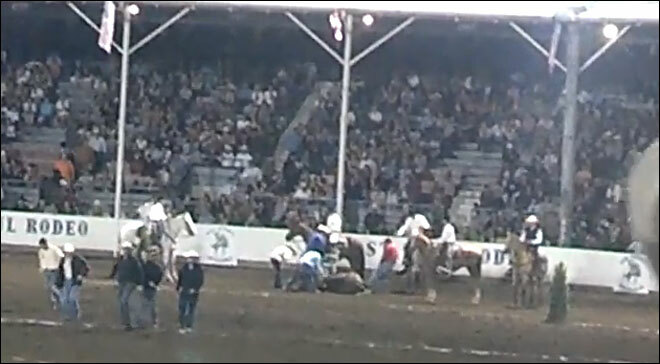 No horse should have to endure a long journey unable to stand upright and in a cramped position that can cause permanent injury. These trailers, when crammed with horses, are also unsafe on the road–they have been involved in several horrific traffic accidents, resulting in severe injuries and the brutal deaths of many horses. Please contact your representative and ask him or her to cosponsor the Horse Transportation Safety Act (H.R. 1400) to prevent the use of double-deck trailers for hauling any horse. You can send an email to your legislators through AWI’s Compassion Index by clicking here. As always, be sure to share our eAlert with family, friends and co-workers, and encourage them to contact their legislator as well. Thank you very much for your dedication to protecting animals! P.S. Follow us on Facebook, Twitter, and Instagram for other important animal protection actions and news. Using public trust for private gain would be nothing new for Bernhardt. Since his appointment as deputy secretary in 2017, Interior has made at least 15 policy changes, decisions or proposals that would directly benefit Bernhardt’s former clients. Newmont has mines and ranches in Nevada, a mine in Colorado and mines in Peru, Australia, Ghana and Suriname. Goldcorp has mines in Canada, Argentina, and Mexico and a joint venture with Barrick in the Dominican Republic. Goldcorp also has development joint venture with Barrick in Chile. Now that one hurdle has been cleared to protect the Ruby Mountains from oil and gas leasing, a group of residents sat down with U.S. Sen. Jacky Rosen, D- Nev., to express their ongoing concerns about a similar situation happening again. Nine people, including members of the Te-Moak Western Shoshone and representatives from sportsmen and conservation groups, spoke to Rosen on March 21 in Spring Creek, explaining their fears and frustrations about the potential for more drilling. Rosen promised she and Sen. Catherine Cortez Masto would “fight against” another environmental assessment that might bring drilling rigs to the Rubies. Joseph Holley, chairman of the Battle Mountain Band Council, said he also saw a problem with inconsistent wording from various BLM offices within the state, which can also be difficult to comprehend. “You’ve got to go through stacks and stacks of paper just to understand a small portion of it,” Holley said. Really, really good posts ^^^ Louie C! Where ARE those Archangels when you need ’em the most? We need St. Michael to swoop down with his sword and smite the reptiles, like now! Some huge lightning bolts would work too. On Sunday November 22nd, as on the previous Friday (as reported in the Denver Post and 5280 Denver’s Magazine), a plane and banner message critical of Secretary Salazar will be flying over Denver, prior to the Denver Broncos game. 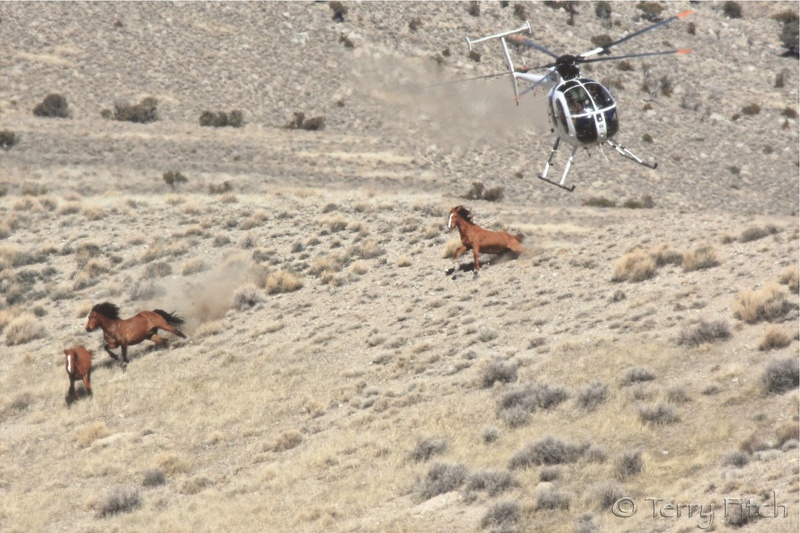 Frustrated and angry over continued Wild Horse round-ups, the message sponsors are working toward a conversation on the real issues on our public lands discussed in this press release. The only thing better would have been to use a … helicopter. They’re privatising things we own together. They’re flogging off the people’s common ground. And though we’re still connected by the weather. They say that sharing things is now unsound. They’re lonelifying all the public spaces. They’re rationalising swags and billabongs. They’re awfulising nature’s lovely places, Dismantling the dreaming and the songs. Their macho fear of flabby soft sensations Makes them pine for all things hard and lean. They talk of foreign market penetrations And throbbing private sectors. It’s obscene. They’re basically unloving types of creatures With demons lurking underneath their beds. You’ll notice that a necktie always features To keep their hearts quite separate from their heads. So if they steal away the people’s treasure. And bring the jolly swagman to his knees. They can’t remove the simple common pleasure Of loathing public bastards such as these.